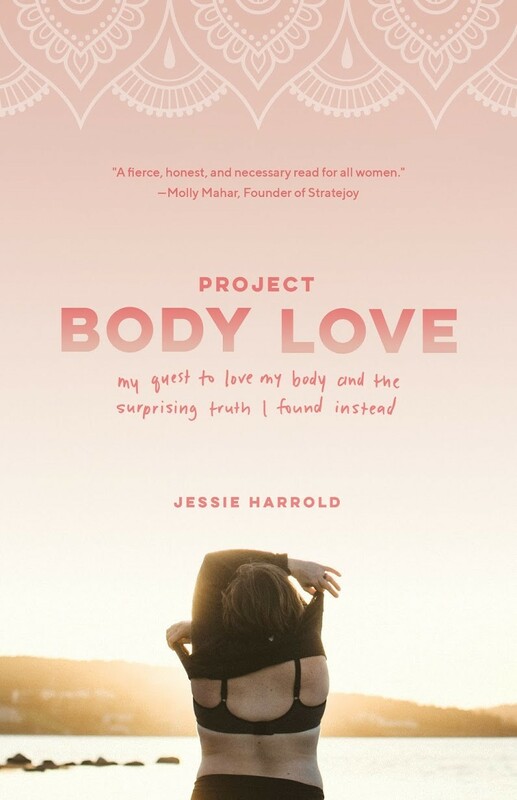 Jessie Harrold celebrates her body and yours—the way they are—with her debut book, Project Body Love. Harrold says her readers' feedback reminds her of the Cheryl Strayed quote: "I write to tell the truth about my life and what happens is people feel I’ve told the truth about theirs." Sometimes what we crave most is a bolt of lightning, a moment of pristine clarity. But, if Jessie Harrold knows anything, it’s that we need to capture the lightning for ourselves—that we have to decide what things are sure and certain. The life coach, doula and mother of two—who’s recently added author to her list of job titles—describes this feeling when she began the quest of body positivity after the birth of her youngest child. This surprisingly honest take that centres on self-acceptance and self-compassion is documented in real time, she adds. “I had started the process, realizing I had always lived with a lot of self-loathing, thinking ‘OK, what haven’t I done before? That everyone hasn’t already done before, that could move the needle on how I feel about myself?” she says. “I assumed that there was gonna be a change to my physical shape that occurred along this process for me to come to a place of acceptance. It wasn’t until I found the Health at Every Size movement and I started to realize what a lifetime of dieting had done to my body… I was floored by the idea that I could be healthy in the body that I was in.